A PLN technician checks electricity meters on Nov. 15, 2017, at a low-cost apartment building in Daan Mogot, West Jakarta. State-owned electricity company PLN is in the process of switching from the current manual electricity meters to digital ones, using a technology called advanced metering infrastructure (AMI), expecting that the new system can be used by 1 million customers this year. The AMI is an integrated system of smart meters, communication networks and data management systems that enables two-way communication between utilities and customers, according to a definition given by the United States Department of Energy. 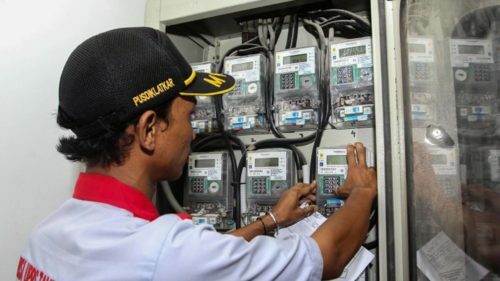 Digital meters had been in place since 2014, but were only used by big corporations in West Java, said Djoko Rahardjo Abumanan, PLN regional business director for the eastern part of Java, Bali and Nusa Tenggara. “Now, we will use the system for all customers,” he said in Jakarta recently.